New Echo devices including the Echo Link, Echo Dot, Echo Sub, Echo Plus, Echo Auto, Echo Show, Echo Input and Echo Spot. That's a wrap. Thanks so much for joining us. Can't wait to explore? Check out 10 Alexa skills you've gotta try. Now you can add items to your grocery list from your car, even as you are driving, or say, "Alexa, where's the nearest Starbucks," "Alexa read me a book," or ask for directions to airport. Echo Auto takes advantage of the connectivity that’s already in your car – your phone. You just need to have it with you. We can connect to Bluetooth and Bluetooth LE. Introducing Echo Auto. It has an eight-microphone array that is designed specifically to handle noise in the car. So, even when there’s construction, or you’re cranking up the music with the air conditioning on high, Echo Auto can hear your requests. We’re using Amazon FreeRTOS, AWS’s new real time operating system. Used across a number of products today – in our smart plug, our microwave, also in Echo Auto. It enables secure connectivity back to the AWS Cloud, and one of the nice things is that it boots incredibly quickly. Get in car, hit ignition, within just a few seconds, it’s ready to go. More than 15 of the world’s largest automakers have built Alexa skills for their vehicles, including GM, Hyundai and Nissan, among others. Many automakers are taking it a step further and building Alexa directly into their cars. BMW is rolling out this experience to customers this fall. Ford, Lexus, SEAT, and Toyota are doing the same. And, just this week the Volkswagen Group announced that Audi plans to bring Alexa to many of its 2019 vehicles, including the new, all-electric Audi e-tron. 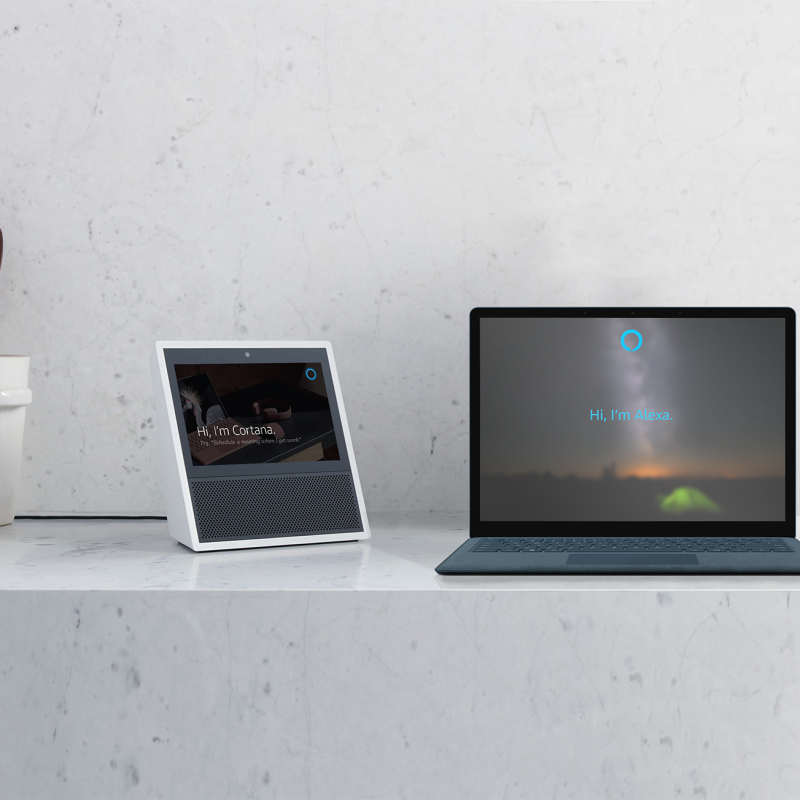 Now announcing the Alexa Smart Screen Device SDK, an all-new SDK that gives device makers the ability to bring visual, show-like experiences to screen-based products like smart displays, televisions, and 2-in-1 tablets. Lenovo has been using this in beta for several months, to create Lenovo Smart Tabs - a new line of Android tablets that can be used as a smart screen with ‘Show Mode’ and Alexa built-in. Fire TV Recast allows you to watch your favorite live TV content from anywhere. It is a companion DVR that lets you watch, record, and replay free over-the-air programming to any Fire TV, Echo Show, and on compatible Fire tablet and mobile devices. Stream live TV anywhere from shows to local news, sports, and more from stations like ABC, CBS, FOX, NBC, PBS, and The CW, where available. Fire TV Recast makes it easy to put video everywhere in your home. not just by your TV. We’ll help you find the right place for the device during setup – maybe the attic where you have the best reception – and then we’ll take care of the rest. With Fire TV Recast, you can record up to two or four shows at once, and stream on any two devices at a time. Even over-the-air shows can go with you on-the-go with the Fire TV app. Fire TV Recast is even better with Alexa – pair with a Fire TV or Echo Show to search for shows, browse recordings, change over-the-air live TV channels, control playback, and schedule, cancel, and delete recordings using just your voice. It's available for pre-order now. Alexa can now give step-by-step cooking instructions. Dave: "Alexa, show me something interesting." Alexa shows a live view from Budapest. Developers like Jeopardy and CNN have played a key role in bringing unique visual skills to customers that are not only rich and interactive, but voice-first at their core. In fact, customers have interacted with visually enhanced skills hundreds of millions of times. We’re introducing a new developer language and tools built from the ground up for creating visual skills for Alexa. Alexa Presentation Language enables developers and designers to build new and rich visual Alexa skills that include graphics, images, slideshows, video and more. While it’s a new language, developers and designers will find APL familiar. If you are familiar with web technologies, you can design with APL. There are new browsers for the Echo Show -- Firefox and Amazon's Silk browser. We’re opening up our communications API to third-party developers. And, we’re excited to announce that Skype will be the first partner to use these APIs. 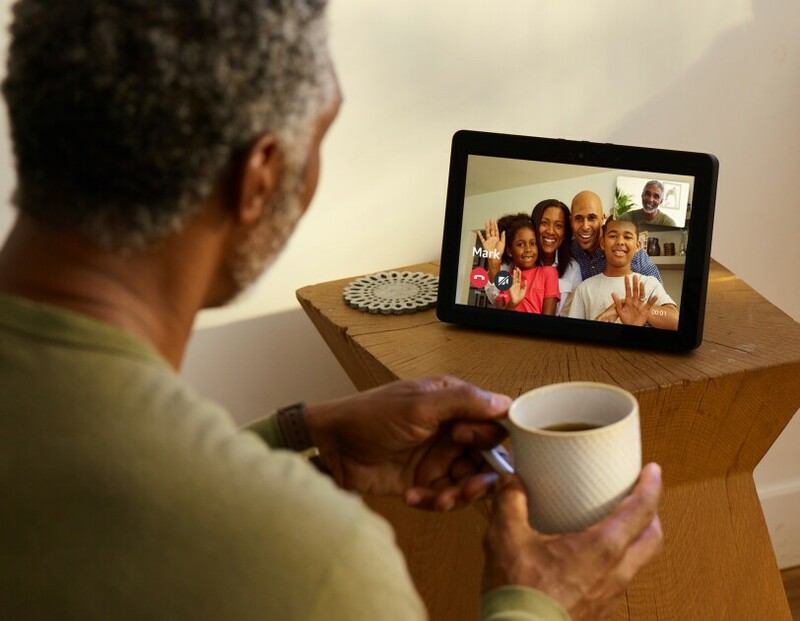 With this integration, we’re expanding the global network of contacts that Alexa customers can reach to the hundreds of millions of people using Skype around the world. Customers can also enjoy Skype’s low-cost calling package. Echo Show now includes a high resolution 10-inch HD display – that’s twice the display area of the original Echo Show. It has an 8-mic array – our most powerful mics ever. Experience is even more delightful. Trust me, you’re going to notice the difference. We’ve done all this and kept the price the same. The new Echo Show will be available to customers for $229.99. Pre-orders start today and it will begin shipping next month. On to the New Echo Show. This is completely redesigned with a larger, more beautiful screen, a smart home hub, and improved sound quality. This has been completely redesigned with new systems for everything. The first being the sound system. There are dual, side-firing 2” Neodymium drivers, a passive bass radiator and Dolby processing to deliver expansive stereo sound with deep, powerful lows and crisp highs, perfect for listening to your favorite music. We’re also introducing Doorbell Chime Announcements, so you’ll hear a chime on all of your Echo devices when someone presses your smart doorbell. Find out what Ring is doing to keep more neighborhoods safe. Earlier this year, we launched the Neighbors app. I don’t know how many of you have it but it’s incredibly informative to me to know when one of my neighbors had a package stolen or saw someone in their yard who shouldn’t be or lost a pet. You don’t have to own a single Ring or Amazon device to take advantage of this digital neighborhood watch. The exciting thing is: the combination of all of these things is actually reducing crime in neighborhoods. Today, we're excited to announce that we’re adding access control for Ring Alarm. Neighbors who buy a Z-Wave lock from Schlage, Yale, Kwikset, or Danalock will be able to lock and unlock their doors using their Ring app. Additionally, neighbors using the Schlage Connect or Danalock locks will also be able to disarm their Ring Alarm when they enter the code on their lock. We’re also excited to share the all new Ring Stick Up Cam with both wired and battery options. This is beautiful. It comes in black and white and works great indoors and out. Indoors, neighbors will be able to use the new Ring Stick Up Cams with Ring Alarm to provide an extra layer of security inside the home. Ring Stick Up Cam Wired and Ring Stick Up Cam will be available later this year for $179.99. As I mentioned earlier, a smart home has to be even smarter outside than it is inside and nobody has more expertise on protecting the outside of peoples’ homes than Ring. From the very beginning, I was absolutely blown away by Ring’s mission to reduce crime in neighborhoods. I can think of almost no more noble mission. And the Ring team continues to invent at a breathtaking pace. Earlier this year we launched Ring Alarm which is off to a great start. This took home alarms to a new level. It’s easy to install, it’s affordable, simple to use. It’s a great way for neighbors to feel secure in their homes. Alexa Guard also includes Away Lighting, that uses machine learning to turn smart lights on and off, in patterns that seem natural, to deter intruders by making it look like someone is home. It’s great. 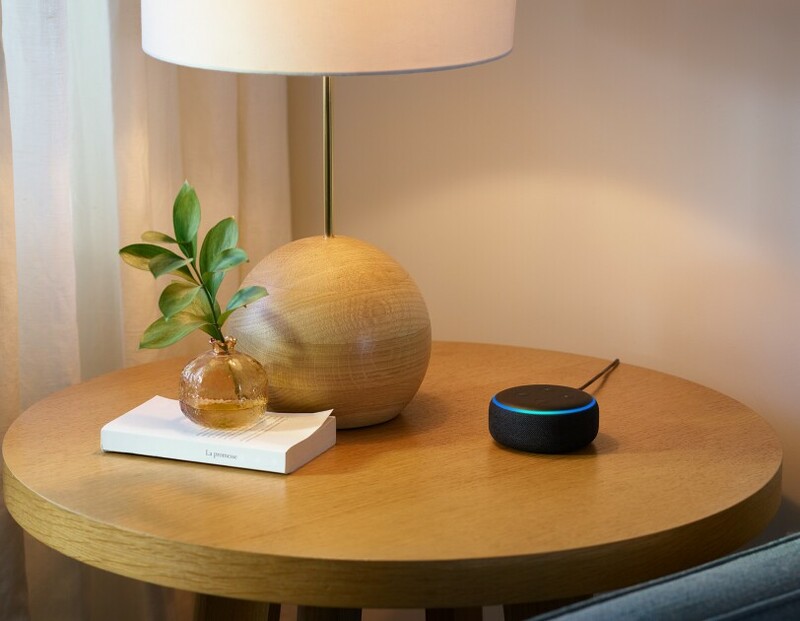 The other part of Alexa Guard is that we’re working with security companies like Ring and ADT to help them keep your home safe when you’re away. When you say, “Alexa, I’m leaving,” Alexa will notify you if she detects the sound of smoke alarms, carbon monoxide alarms, or glass breaking while you’re away. These notifications, called Smart Alerts, are sent to your phone to let you know which sound was detected, as well as an audio clip of that event for your review. Customers can also choose to forward Smart Alerts they receive to Ring and ADT, allowing your security provider to help determine if additional action should be taken. Today we’re introducing Alexa Guard. Alexa Guard integrates Echo devices, smart lights, and security service providers to help customers protect their homes while they’re away. When Guard is on, Alexa can send you Smart Alerts with audio clips when specific sounds are detected, including breaking glass or smoke or CO2 alarms. Just set your Echo device to away mode when you’re heading out by saying, “Alexa, I’m leaving,” and Alexa will let you know if your Echo devices detects an unusual sound. Introducing Echo Wall Clock, an Echo companion device that helps keep you and your family organized at home. Customers love timers, alarms, and reminders and Echo Wall Clock makes these features even better. 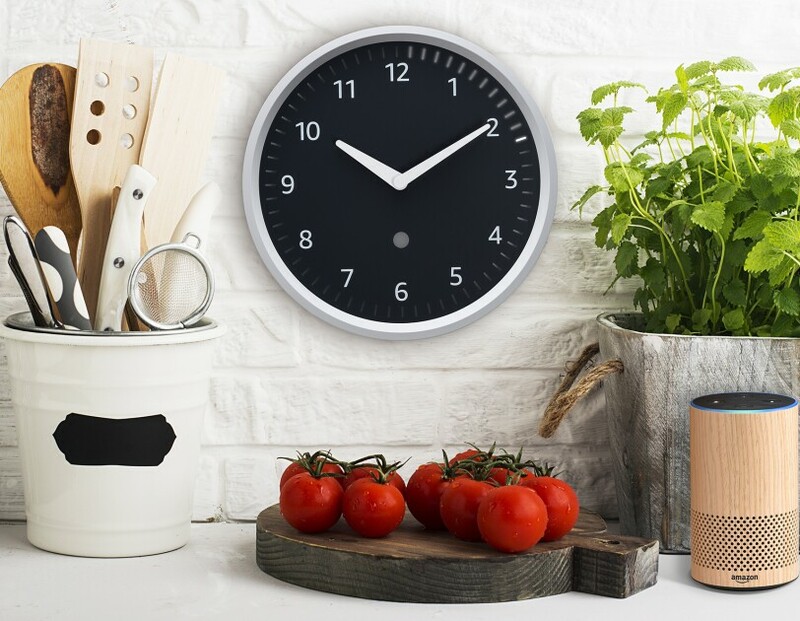 Just like the AmazonBasics Microwave, the Echo Wall Clock uses Bluetooth to connect to a customer’s Echo device. Echo Wall Clock is $29.99 and will ship later this year. Dave runs a demo, "Alexa, cook one potato." Alexa cooks the potato. It's that simple. You almost wish it were more complicated -- but not really. The AmazonBasics Microwave is available to pre-order starting today for $59.99 and will start shipping later this year. Introducing the AmazonBasics Microwave that brings the simplicity and convenience of voice to a compact countertop microwave. The problem is that customers only use a fraction of the features available on a standard microwave. How many of you know how to defrost peas in a microwave? Alexa changes that. The AmazonBasics Microwave includes dozens of quick-cook voice presets, so you can cook just by asking Alexa. 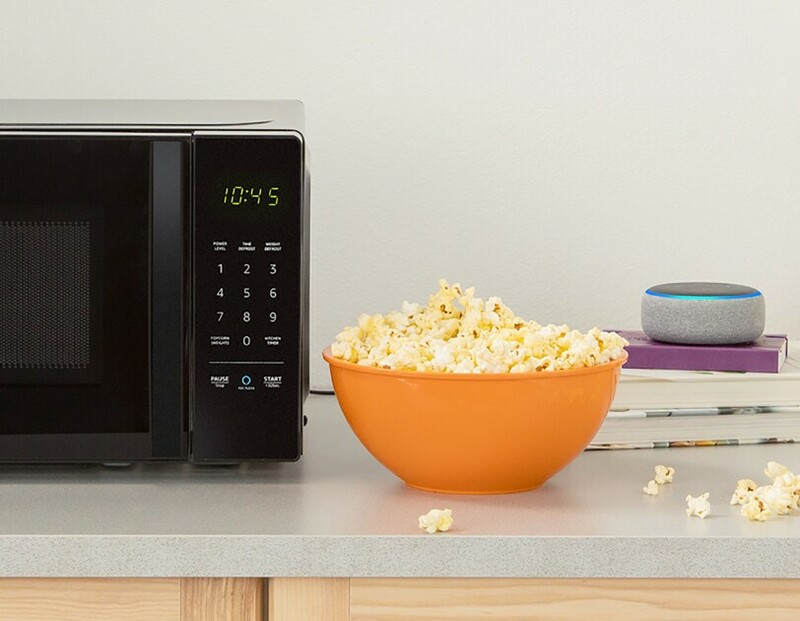 And because you’re standing in front of the microwave to put in your food, the AmazonBasics Microwave comes with a built-in Ask Alexa button. Simply press it and give a cooking command like “two minutes and 30 seconds on medium” to start cooking. And, the team integrated the Dash Replenishment service, to automatically reorder popcorn when you’re running low. These new APIs are going into preview starting today, and we let a handful of developers try them out early. They’re doing lots of interesting things: Kenmore is using the new ModeController to give their customers a set of additional wash cycle presets, and Moen is building a shower that customers can control with their voice. These APIs help a lot. But for many device makers, building connected devices may not be in their roundhouse. Devices are not homogeneous. Very few are connected, but customers want them all to be. We wanted to make that simpler for developers. And what we came up with was the Alexa Connect Kit – the simplest way to create Wi-Fi connected, smart home products. Alexa Connect Kit includes a Wi-Fi and Bluetooth LE module that contains software – written and managed by Amazon – that automatically and securely connects to Amazon-managed cloud services. This means that device makers can focus on what they’re great at without worrying about OTAs, security, metrics. P&G, Hamilton Beach, Tonly, and Midea have already started building with Alexa Connect Kit, and we can’t wait to see what they create. It took us more than three years to reach 4,000 Alexa-compatible devices, but since the beginning of 2018, we’ve quintupled that number. Today there are more than 20,000 smart home devices from over 3,500 brands that work with Alexa. The momentum is incredible and the selection that customers now have is great. This momentum happened quickly because the team continued to invent new capabilities for our smart home APIs. Last year we introduced v3, and today we’re excited to introduce v4 of those APIs that will go into public preview starting today. V4 takes everything we’ve done with previous versions of these APIs and extends it down to the primitive level so developers can make any device work with Alexa, even those that haven’t been invented yet. As we thought about the ways that a home should get smarter, we took a step back to think about how humans get smarter. Human beings are naturally inquisitive, and we’re able to connect dots. Our brains are interesting that way. And, it’s how we get things like intuition or hunches. Now, the with state of the art AI, we can build a deep neural network that begins to replicate a human being’s hunch. We’ve been testing that in the labs for a while now, and it turns out it’s incredibly delightful. So now when you say “Alexa, set an alarm” or “Alexa, good night” – and millions of customers do this – every once in a while, Alexa will have a hunch – you left your lights on, your back door is unlocked. We’re just getting started. Like all things, this feature will get better and smarter over time. Dave: "Alexa name the first plug Bedroom Light." Alexa: "I have renamed the plug Bedroom Light." Dave: "Alexa, turn the bedroom light on." The bedroom light comes on. It's that simple. Amazon Smart plug is the embodiment of how Frustration Free Setup works, as the first device to ship with Wi-Fi Simple Setup. The Amazon Smart Plug is available for pre-order starting today for $24.99 and will start shipping next month. We’re adding broadcasting capabilities to Echo, Fire TV, and the Alexa app later this year. We’re also making it freely available to any developer who wants to simplify the setup of their device, and TP-Link and Eero have already committed to implementing Wi-Fi Simple Setup in future products. The Wi-Fi Simple Setup SDK is available in Public Preview starting today. Amazon Wi-Fi Locker lets customers re-use network credentials to setup a new device. We’ve been using this with Amazon Devices for a few years, and customers have securely stored more than 100 million Wi-Fi credentials in the locker. Now we’re introducing Wi-Fi Simple Setup to help customers seamlessly connect new Wi-Fi devices in their homes. So how does this work? You plug in the Wi-Fi Simple Setup enabled device, and it immediately looks for the Wi-Fi Simple Setup Network. Once it receives the encrypted credentials, it securely connects to the network. And, all of that happens in less than thirty seconds. Just over 10 years ago we started with frustration free packaging because we knew there was something better than cutting our fingers on hermetically sealed plastic clamshells. We’ve still got years to go before we get to every package being frustration free, but we’ve made a lot of progress and have eliminated more than 244,000 tons of packaging materials. Much like Frustration Free Packaging, we want to start today with Frustration Free Setup – a multi-year journey to make setting up all types of electronic devices as easy as plugging them into the wall. The first step was last year with Zigbee Simple Setup. Today, we’re announcing the next two steps: Amazon Wi-Fi Locker and Wi-Fi Simple Setup. And we’ll begin supporting local voice control for smart home devices. No Wi Fi? No problems. What happens when the internet goes out? Your light switches still work and so too should a hub. So, we’ve taken the best of our cloud-based NLU and ASR, and we’ve made it local to the Echo Plus. So, you can still turn on your lights when the internet is down. We’ve started with some of the most-used controls like lights, and over time, we’ll expand to more. The new Echo Plus will be available to customers for $149.99. Pre-orders start today and it will start shipping next month. The New Echo Plus has more powerful sound – the bass feels stronger and the sound is clearer. And, with the equalizer feature, you can use your voice to adjust the bass and treble to customize your listening experience. An integrated temperature sensor is included, so you can trigger routines based on how cool or hot it is in a room. For example, if it reaches 75 degrees in the living room, Alexa will automatically turn on the fan. New hardware is great. But it's even better when it's connected to a service. Soon you’ll be able to tell Alexa, "I want to follow Imagine Dragons." When they have a new album, Alexa will notify you. Echo Link Amp has a built-in 60W 2-channel amplifier, multiple digital and analog inputs and outputs for compatibility with your existing stereo equipment, and lets you control music selection, volume, and multi-room playback on your stereo with your Echo or the Alexa app. It will be available to customers soon. Introducing Echo Link, designed to connect to a receiver or amplifier, with multiple digital and analog inputs and outputs for compatibility with your existing stereo equipment, and lets you control music selection, volume, and multi-room playback on your stereo with your Echo or the Alexa app. 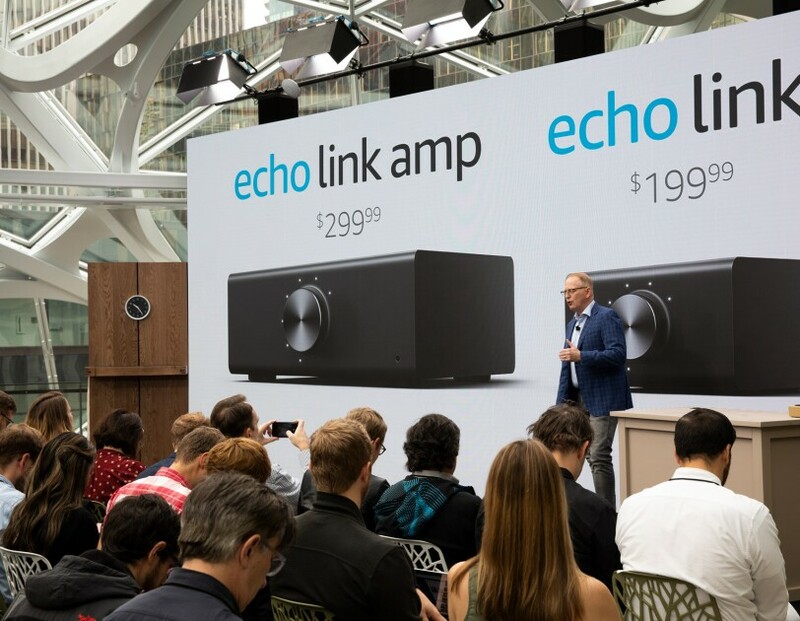 Echo Link will be available to customers soon. Echo Link, Echo Link Amp, Echo Wall Clock, and Ring Stick Up Cam Battery have not been authorized as required by the rules of the Federal Communications Commission. These devices are not, and may not be, offered for sale or lease, or sold or leased, until authorization is obtained. But you can go even deeper with the new Echo Sub, to add rich bass to your Echo music experience. You can connect Echo Sub in a 2.1 or 1.1 pairing to an Echo or Echo Plus. 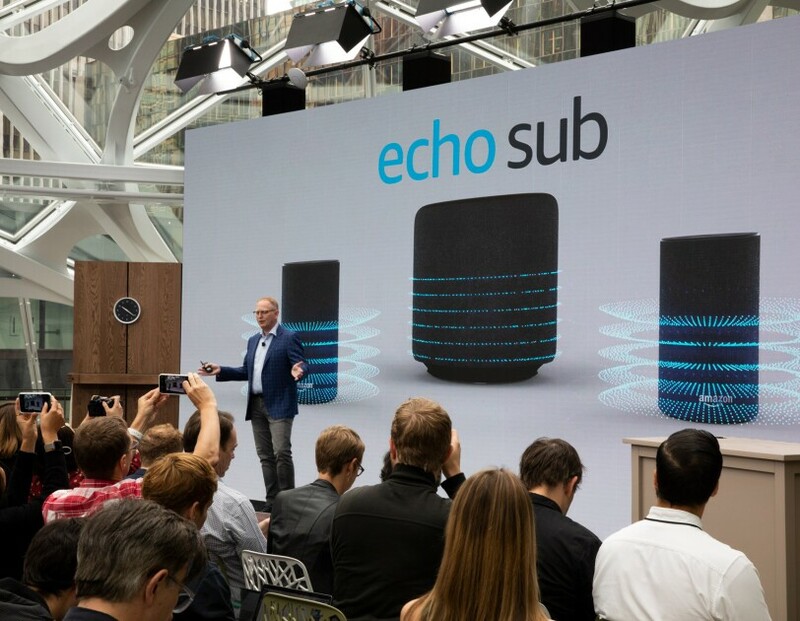 Echo Sub is available for pre-order starting today. Multi-room music has been incredibly popular for customers -- but till now has been available only on Echo. Now that functionality is available to all third party device makers. 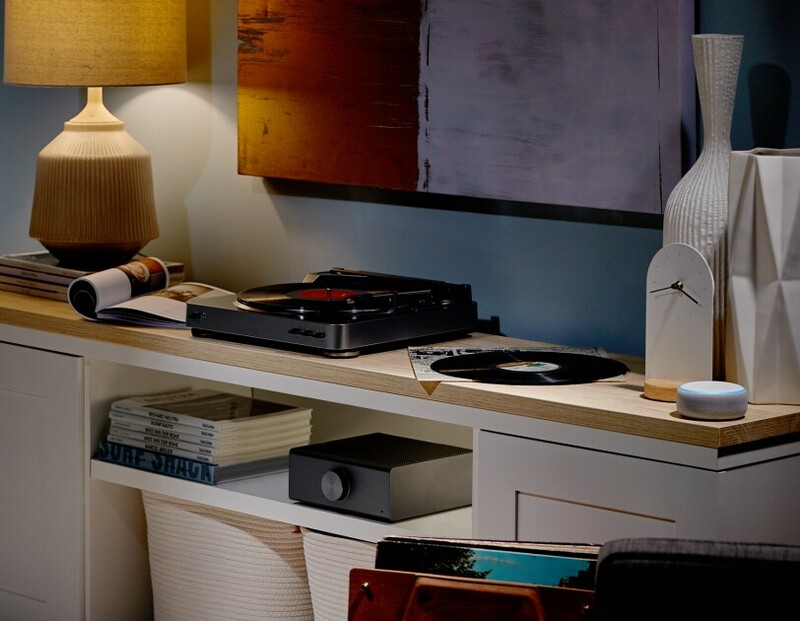 Preferred speaker setup lets customers set their preferred speaker for music playback. Just say, “Alexa, play rock music,” and music will stream from your preferred speaker – whether it’s an Echo device, a speaker from Bose or Sonos, or a multi-room music group. 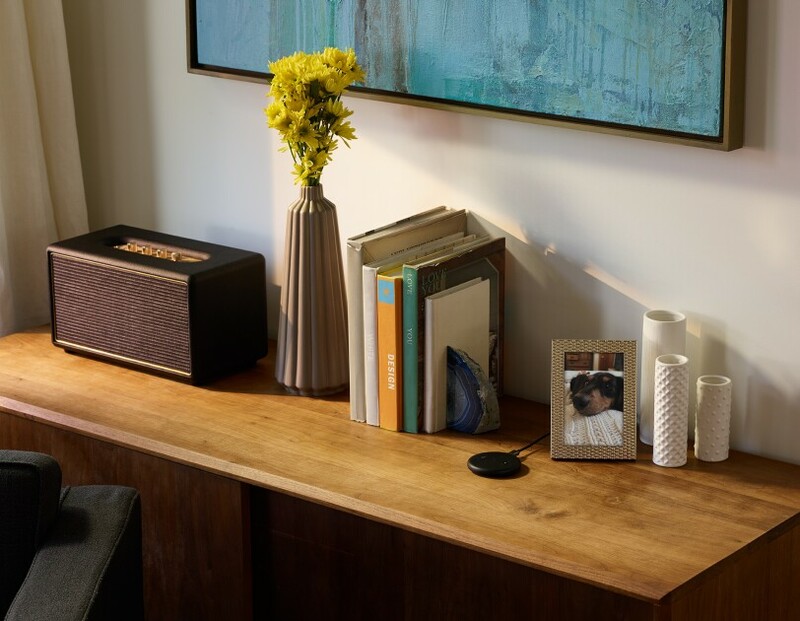 This fall, we’re making Alexa Multi-Room Music available to all device makers – so if you have an Echo in the kitchen, a Polk Command Bar in the living room, and a Harmon Kardon Allure in the entry, you can add all of them to a single group and play music everywhere. How are customers using Echo Dot? What we’ve learned is that people do put it in every room, and they connect it to other speakers with Bluetooth and line out. No two humans are the same on the kind of speaker that they prefer. If you listen to rock and roll, you’ll want one thing, and if you listen to jazz, you’ll want another. Echo Input, the first Echo device without a speaker that adds Alexa voice control to your favorite speakers via a 3.5mm audio cable or Bluetooth. It has a four-microphone array so you can talk to Alexa from across the room. 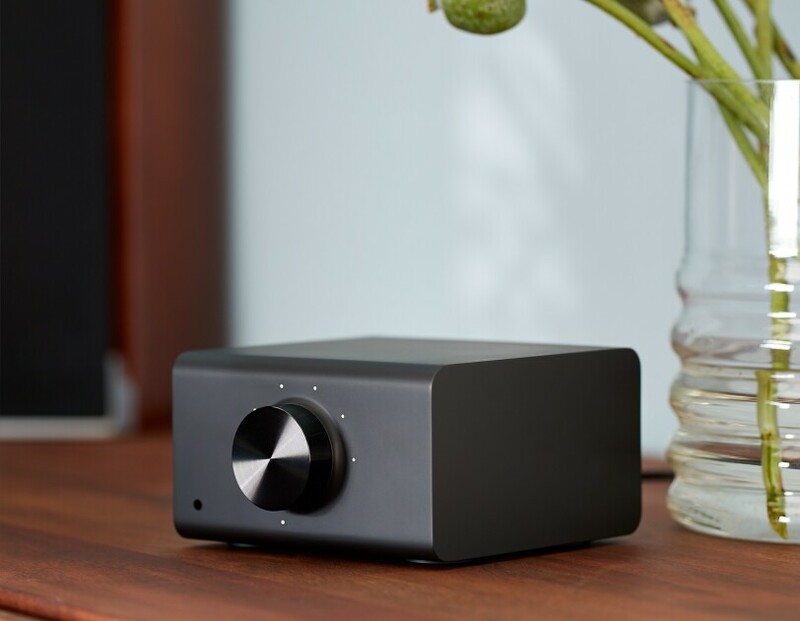 Echo Input is just 12.5mm tall, it’s incredibly thin and disappears into the room. Echo Input will be available later this year for $34.99. We are taking orders today for the new Echo Dot, at the same price. Devices will begin to ship next month. Echo Dot is the best selling speaker ever. And it's the first new device we're announcing today. The team has packed a lot into a small form factor. There’s a brand new mic array that gives it better performance. The driver is now much larger – we went from a 1.1” driver to a 1.6” driver so we can deliver more powerful sound with lower distortion and enhanced bass reproduction. And, we’re now driving the speaker with more power, which helps us increase the overall max volume. The new Echo Dot is now 70 percent louder. Echo Dot still has loved features of line out and Bluetooth so you can connect to another speaker, but for many customers this will be a great speaker all by itself. Alexa has made music a more communal experience. Kids love to listen to books, and there's no better place to listen than Audible, and now it's all on Alexa. We’re also adding more content to FreeTime Unlimited on Alexa, starting with podcasts for kids – including popular ones like Story Pirates and Ear Snacks. And, by the end of next month there will be more than 1,000 Audible books available through FreeTime Unlimited on Alexa. Now introducing Routines for Kids, including Alexa Routines, so parents can easily create Routines for the family using simple templates. For example, when you say “Alexa, good night,” Alexa will say a nice message that you can customize, turn off the lights, and start sleep sounds. We're working on making Alexa more approachable, so customers who are hearing-impaired can turn on Alexa Captions, which is available globally. Alexa Captions enable customers to turn on captions for Alexa’s responses on their Echo Show and Echo Spot devices. Alexa's short term memory is getting even better. With new Follow up feature, you can ask "Alexa, what's the weather in LA.?" Without another wake word, simply ask, "What's a good restaurant there?" And Alexa will know you're talking about Los Angeles. We're working on a system to make Alexa more opinionated and personal. 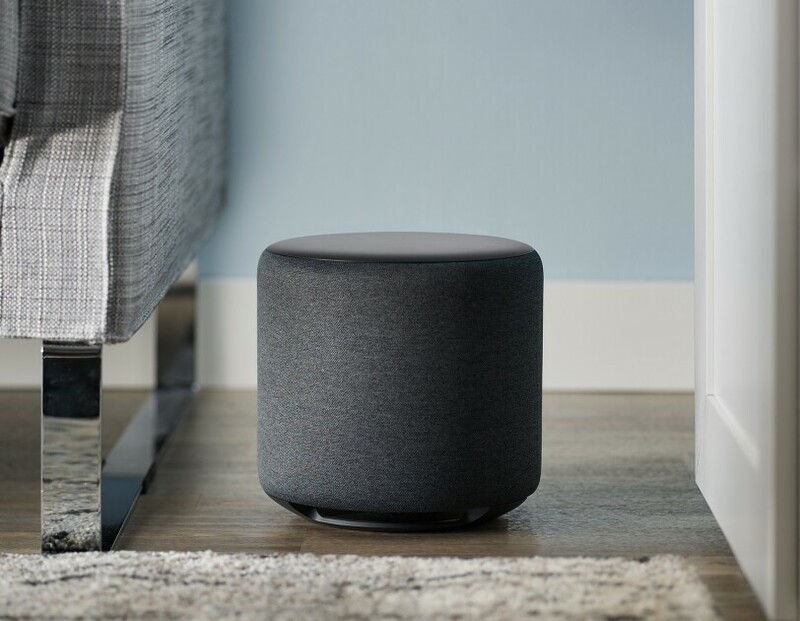 One example is Whisper on Alexa, which lets customers speak to Alexa in a whisper, try it to set an alarm or quietly ask Alexa to play lullabies for twenty minutes. Early this year we launched Remember This, a memory feature that made it possible for Alexa to remember arbitrary information you share, so that you never forget. Alexa can store information like birthdays and anniversaries, Wi-Fi passwords, addresses, and more – and retrieve it later. 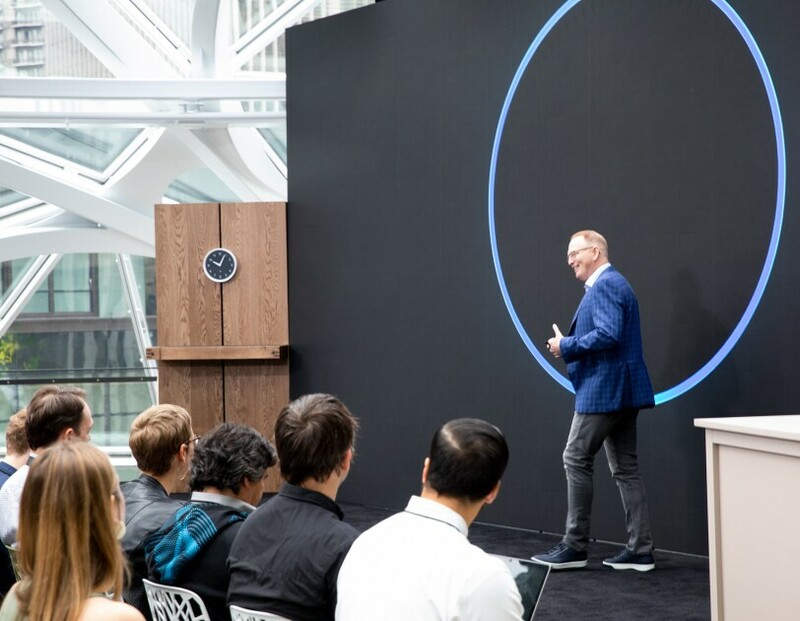 Dave Limp, our senior vice president of Amazon Devices, is on the stage at the Seattle Spheres, and will be sharing dozens of new products and features. We’re told that today marks the largest number of devices and features that Amazon has ever launched in a day. New skill: Alexa's started learning about fantasy sports in the last month! Let's begin. We've got dozens of things to talk about. 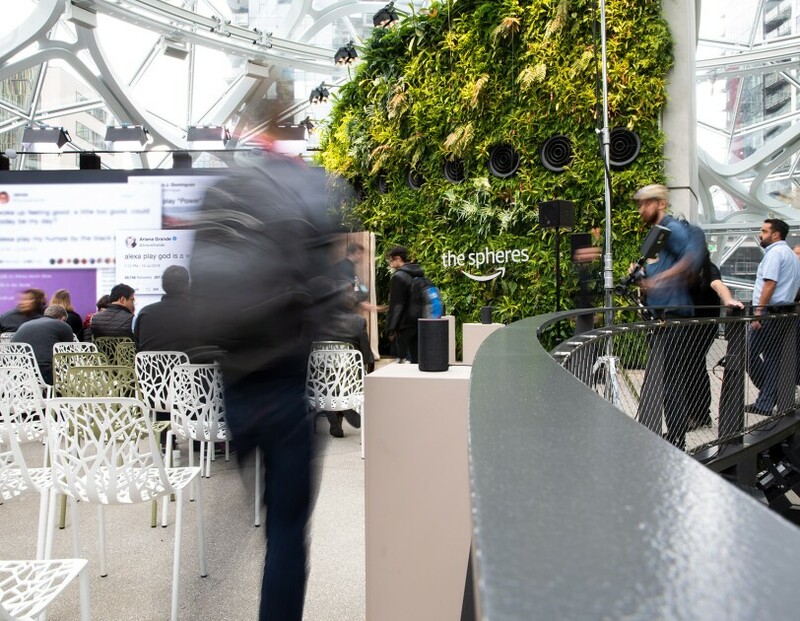 A guest enters the Spheres for the September 2018 Devices announcement event. Take a peek at some of the people who have made our top Alexa skills. As we wait for announcements on all the new stuff Alexa will be able to do, here's some reading for things Alexa can do today. Awaiting the start of the event at The Spheres. 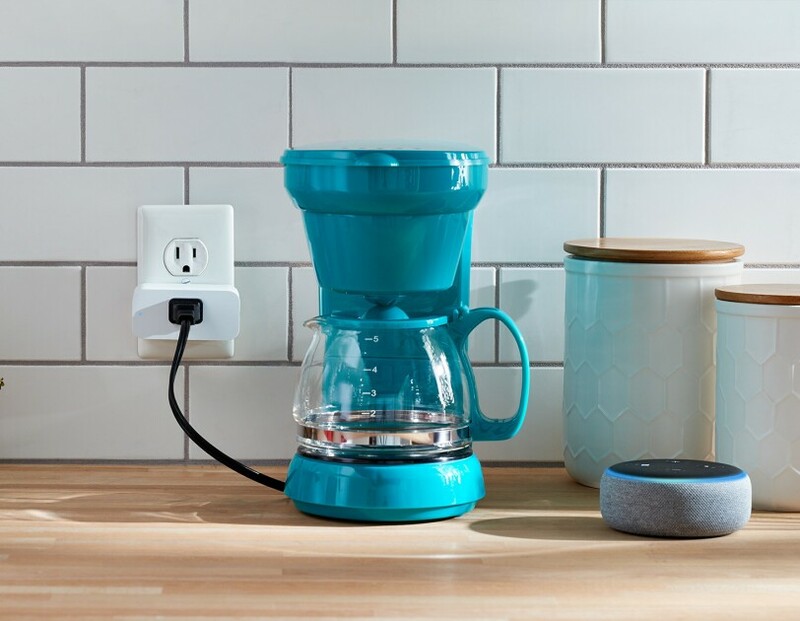 Customers have now connected tens of millions of smart home devices to Alexa. Millions of customers have more than one Echo device in the home. Only about an hour until Amazon Devices Event – September 2018 begins. Are you ready? There are more than 20,000 Alexa-compatible devices from more than 3,500 brands for customers to choose from today. Did you know? We introduced Alexa only 4 years ago – in 2014. 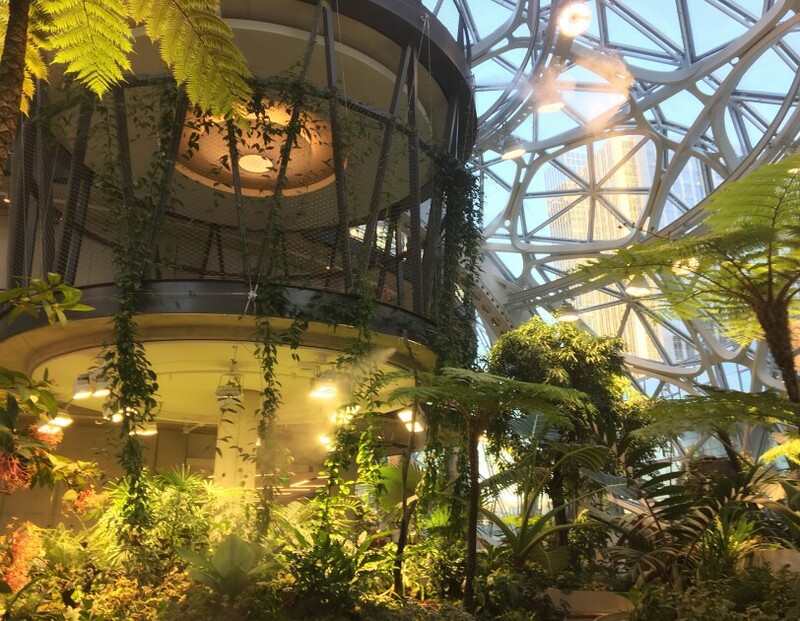 We're live blogging the Amazon Devices Event – September 2018. Stay tuned here, as we roll out all the details!